Our GrowTech© greenhouse line has been designed to meet today’s standards for modern schools and universities. 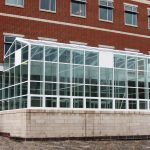 We call it an “architectural grade classroom greenhouse.” These greenhouses are designed to meet the commercial building codes and match the design elements of the adjoining building. GrowTech© greenhouses have many unique features and benefits that staff and students will appreciate. Start by selecting the level of greenhouse you would like to include in your project. We have four different greenhouse and equipment packages to address the educational needs of the students the school will serve. 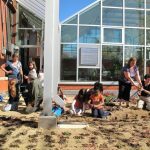 As an introduction to growing, level 1 GrowTech© greenhouses are best for elementary and middle schools that will be introducing young students to the horticultural and agricultural industries. Most instructors will not be qualified to operate a highly sophisticated greenhouse so the equipment package is functional but simple. Designed for high schools and trade schools that will be used for teaching students the fundamental concepts of the horticultural and agricultural industries. Most instructors will have an idea of what is involved in operating a sophisticated greenhouse, but not the experience or expertise to do so. The equipment package is increased, but still fairly simple to operate. Designed for colleges that will be providing continuing education in the horticultural and agricultural industries. 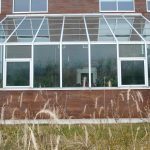 Most instructors will have a good understanding of how to operate a sophisticated greenhouse and can and should give input in the design stage. Training may be required as the equipment is more sophisticated. Designed for universities that will be providing continuing education in the horticultural and agricultural industries. 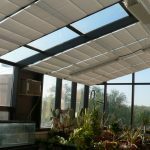 Most instructors will have a good understanding of how to operate a sophisticated greenhouse and can and should give input in the design stage. Training may be required as the equipment is more sophisticated.